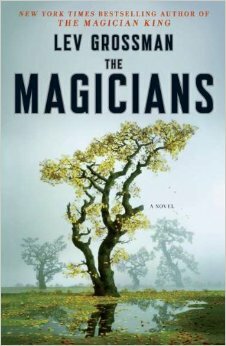 I am currently reading The Magicians by Lev Grossman (Viking, 2009). This fantasy is the first book in a trilogy that takes that next step after the Harry Potter series, adding more mature themes to a similar story about students attending a school for wizardry. One passage gave me pause. I earmarked it, so I could share it here. It is a quote from one of the professors, as he lectures to his new students. The study of magic is not a science, it is not an art, and it is not a religion. Magic is a craft. When we do magic, we do not wish and we do not pray. We rely upon our will and our knowledge and our skill to make a specific change in the world. The study of teaching is not a science, it is not an art, and it is not a religion. Teaching is a craft. When we teach, we do not wish and we do not pray. We rely upon our will and our knowledge and our skill to make a specific change in the world. Doesn’t that substitution just fit like a glove? Of course, I evoke the word “teaching” with the highest regard. I am talking about the type of teaching that anticipates kids’ questions before they ask them. Teaching can be considered a craft when the teacher is constantly reflecting on their practice and making improvements, often during the lesson itself. Great teachers realize that what makes an impact on student learning is a thoughtful combination of their will, knowledge, and skills, and that each ingredient is enhanced when brought together with intention. Ordinary teaching may be an art. We can capture our students’ interests and keep them captivated with our presentation skills. But what deep learning do we have to show for our showmanship? Sometimes teaching is simply a science. The objective is posted, students are clear on the intended learning, and there are opportunities to check for understanding. But how does the learning go live and take a life of it’s own, led by the classroom as a learning community? Great teaching is neither an art or a science. Great teaching is a combination of the two: great teaching is a craft that constantly needs attention, inspiration, and reflection. Great teaching is magic.